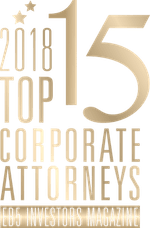 LOS ANGELES—Jeffer Mangels Butler & Mitchell LLP (JMBM) is pleased to announce that Catherine DeBono Holmes has been included on EB5 Investors Magazine’s list of “Top 15 Corporate Attorneys” for the second year in 2018. Chair of the firm’s Investment Capital Law Group and author of the Investment Law Blog, Holmes has practiced law at JMBM for over 30 years, focusing on investment capital and business transactions. She has extensive experience helping clients from around the world raise, invest and manage capital for real estate projects in the United States and abroad, and has obtained financing for over 200 hotels, multi-family, and mixed-used developments through the EB-5 immigrant investor visa program. In the hospitality industry, Holmes specializes in resort and urban mixed-use financing and development, hotel management and franchise agreements, resort and hotel purchase and sale transactions, and public-private hotel development. Her finance and investment experience includes handling business formations for entrepreneurs, private securities offerings, structuring and offering of private investment funds, and business and regulatory matters for investment bankers, investment advisers, securities broker-dealers and real estate/mortgage brokers. JMBM’s Investment Capital Law Group provides legal and business advice to assist our clients with raising capital for investment in U.S. real estate development and business; structuring offerings of investment securities, primarily for private investment; conducting offerings of investment securities in compliance with U.S. federal and state securities laws; and forming and obtaining approval of EB-5 Regional Centers for investment in U.S. business through the EB-5 immigrant investor visa program. We represents real estate developers, EB-5 Regional Centers, private fund managers and registered securities broker-dealers and advisors with respect to capital raising. EB5 Investors Magazine serves as a companion to EB5Investors.com and strives to deliver compelling and comprehensive articles and information for everything EB-5 related. EB5 Investors Magazine provides a platform for skilled EB-5 professionals to discuss pressing matters and keep readers up to date on the constantly changing laws and legislation pertaining to EB-5. Each of the publication’s articles is peer-reviewed and provides high-quality objective analysis to an audience of attorneys, EB-5 regional centers, migration agents, wealth managers, and EB-5 service providers. On October 19, 2018, the IRS issued the first set of proposed regulations and a New Revenue Ruling on new Internal Revenue Code Section 1400Z-2 governing Opportunity Zone investments. Under the new Opportunity Zone tax law, taxpayers who realize taxable capital gains from the sale of any asset (stock, property, etc.) and who reinvest those gains into “Qualified Opportunity Funds” (“QOFs”) or “Qualified Opportunity Zone Property” (“QOZP”) will be eligible to receive significant tax benefits, including deferral of their original gain, reduction of their original taxable gains after holding periods of five years or seven years, and no tax on capital gains realized from the new investment in a QOF or QOZP after a holding period of 10 years. 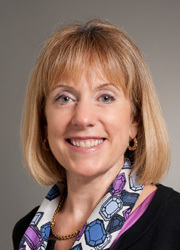 The first set of proposed regulations issued by the IRS under Code Section 1400Z-2 cover a number of issues that apply to individual taxpayers with respect to gains eligible for deferral, types of taxpayers eligible for deferral, the “180-day rule” defining when a qualified investment must be made in order to qualify for the deferral, and how to elect a deferral of the initial capital gain. In addition, the proposed regulations, along with new Revenue Ruling 2018-29, provide guidance to real estate developers seeking to form QOFs or determine whether their properties qualify as QOZP. This article focuses on the regulations and the Revenue Ruling that apply to QOFs and QOZP, and addresses how those regulations and the Revenue Ruling will help real estate developers seeking to raise Opportunity Zone investments to finance real estate development. A new tax incentive for investment in low-income areas designated as “Opportunity Zones” was included in the Tax Cuts and Jobs Act of 2017, signed into law on December 22, 2017. Under this section of the Act, codified as sections 1400Z-1, and 1400Z-2 of the Internal Revenue Code, taxpayers with taxable capital gains from the sale of any asset (stock, property, etc.) who reinvest those gains within 180 days of the date of sale of the asset into “Qualified Opportunity Zone Property” will become eligible to receive significant tax benefits. These potential tax benefits are expected to result in substantial new investment by investors in real estate projects that meet the requirements of “Qualified Opportunity Zone Property.” This article explains what the requirements are for designation as Qualified Opportunity Zone Property, and discusses the structure of Opportunity Zone investments. No Tax on Capital Gains realized on Qualified Opportunity Zone Property – Investors who invest by December 31, 2019 and hold their investment in a Qualified Opportunity Zone Property will pay no tax on any capital gains realized when that investment is sold. JMBM’s Investment Capital Law Group is pleased to announce that Catherine DeBono Holmes, Chair of the Group, will participate as a panelist during the webinar, “How can EB-5 issuers make the most of the Opportunity Zone program?” sponsored by NES Financial. Last year’s tax reform created massive incentives for holders of unrealized capital gains to put their money into “Opportunity Zones” (OZs) — economically distressed census tracts across the US. The list of Opportunity Zones was finalized in June 2018, with 8,700 census tracks designated – 11% of the country. The Opportunity Zone program is likely to grow into a sizeable source of development funding over the coming years. The total available market is estimated around $6 trillion. The question is: How can your business benefit? The webinar will be of interest to regional center operators, issuers and project managers, immigration and securities attorneys, and economists and business consultants. We invite you to join us for this free and informative webinar. Register now! LOS ANGELES—Jeffer Mangels Butler & Mitchell LLP (JMBM) is pleased to announce that Catherine DeBono Holmes has been named to EB-5 Investors Magazine’s “Top 15 Corporate Attorneys” list for 2017. Holmes is the Chair of JMBM’s Investment Capital Law Group and the author of the Investment Law Blog. She helps clients worldwide to raise, invest and manage capital from U.S. and non-U.S. investors. Holmes has represented more than 100 real estate developers in obtaining financing through the EB-5 immigrant investor visa program for the development of hotels, multi-family, and mixed-use developments through the U.S., and has represented numerous Chinese investors in the purchase of hotels and businesses in the U.S.
Now that the USCIS has issued guidance requiring redeployment of capital proceeds received by a new commercial enterprise (“NCE”) from repayment of its initial investment in a job-creating entity (“JCE”) for EB-5 investors who have not completed their “sustainment period,” every General Partner or Manager of an NCE will need to consider their fiduciary duties to the NCE’s EB-5 investors in making a reinvestment decision on behalf of the NCE. Each NCE will have its own particular facts and circumstances that will need to be analyzed to determine which reinvestment option is most appropriate, but there are general principles of fiduciary duty that will apply to every General Partner or Manager of an NCE. The purpose of this article is to highlight some of the most important issues that will arise in making a reinvestment decision, and to describe how the General Partner’s or Manager’s fiduciary duties should influence their decision-making. The white paper below was updated on July 24, 2017. It first appeared in the Investment Law Blog on February 21, 2017. Now that the USCIS has released amendments to its Policy Manual regarding the required “sustainment period” for EB-5 investors to retain their investments “at risk”, the authors of this updated White Paper have revised our original standards and guidelines for redeployment of EB-5 investment capital issued in February 2017 to reflect the new policies adopted by the USCIS on redeployment. We believe that the guidelines provided in this updated White Paper should meet the “sustainment” requirements established by USCIS in its amended Policy Manual, and should also meet the requirements of federal securities laws and the fiduciary duties of the general partner or manager of each new commercial enterprise when making a decision to redeploy their investment capital in a new investment. This White Paper sets forth a legal framework for establishing the standards and guidelines for redeployment of investment funds by a “new commercial enterprise” (“NCE”) received from investors (“EB-5 Investors”) seeking to qualify for visas pursuant to the EB-5 Immigrant Investor Program under Section 203(b)(5) of the Immigration and Nationality Act (“INA”), (8 U.S.C. § 1153(b)(5)) (the “EB-5 Program”). This White Paper assumes that the initial investment was made by the NCE in a “job creating entity” (“JCE”), the investment funds have been utilized by the JCE in accordance with a business plan approved by United States Citizenship and Immigration Services (“USCIS”) and then repaid by the JCE to the NCE after the requisite 10 jobs per EB-5 Investor have been created. Here we conclude that a redeployment by the NCE that meets the guidelines described in this White Paper would reflect industry best practices for compliance with USCIS policy, securities laws and fiduciary duties of the general partner or manager of the NCE. This article is co-authored by Daniel B. Lundy, Esq., of Klasko Immigration Law Partners, LLP. His Firm’s blog is available here. Managers and Investors in EB-5 Investment Funds should regularly monitor their investments in EB-5 Projects and be ready to take protective actions if their EB-5 Projects show signs of trouble. It is vitally important for managers and investors in EB-5 investment funds to stay informed of the status of their EB-5 projects, because EB-5 investors must demonstrate that the projects in which they invested were completed and, in some cases, that those projects are operating in accordance with projections, in order to qualify for approval of their I-829 petitions to remove conditions to their residence. If the manager or EB-5 investors in an EB-5 investment fund discover signs that their EB-5 project may be experiencing financial distress or other difficulties that could prevent the project from being completed or operated in accordance with the original business plan for the project, the manager, the investors or their representatives need to evaluate whether there are any actions that could be taken to save the project, so that the EB-5 investors will ultimately qualify for approval of their I-829 petitions. The manager or investors are in a far better position to take protective actions before the problems with their EB-5 project result in litigation, foreclosure, or SEC enforcement action, although it is still possible to take protective actions after one of these events occurs. This article is the first of a series of articles that will describe how managers or investors can monitor their EB-5 projects to discover potential problems before they become a crisis, and the protective actions that may be taken to protect EB-5 investors if their EB-5 projects are in trouble. The USCIS stated in a stakeholder call on July 28, 2016 that minors can be primary applicants on I-526 petitions for visas under the EB-5 Program, but bear the burden of proving by a preponderance of the evidence that they have entered into a valid investment contract that is not voidable. This acknowledgement by USCIS provides an opportunity for EB-5 sponsors to adopt a policy of accepting minor investors in EB-5 investment funds in a manner that can be proven to create a valid investment contract that is not voidable by the investor. The General Principles of the Civil Law of the Peoples Republic of China (“PRC“) provide one potential means of entering into a valid contract under PRC law. However, some EB-5 sponsors are reluctant to rely upon laws of the PRC as the basis for admission of minor investors, in part because of the uncertainty of what evidence would be necessary to prove that a contract is valid under the laws of the PRC to the satisfaction of the USCIS. For EB-5 sponsors seeking to rely on laws of the United States, the Uniform Transfers to Minors Act (“UTMA“) may provide the best means of establishing the validity of an investment contract with a minor investor. UTMA has been adopted by nearly every state, and establishes a legal method to make a gift to a minor by using the required designation of ownership.